one of these pink Fellfische cellphone cases is still looking for a new home, which is why we’re going to give him to one of our Facebook Fans. If you’re interested, leave a comment on our Facebook wall or share this post. The new owner will be announced on August, 10th 2012 – 6pm CET on Facebook. Have fun! 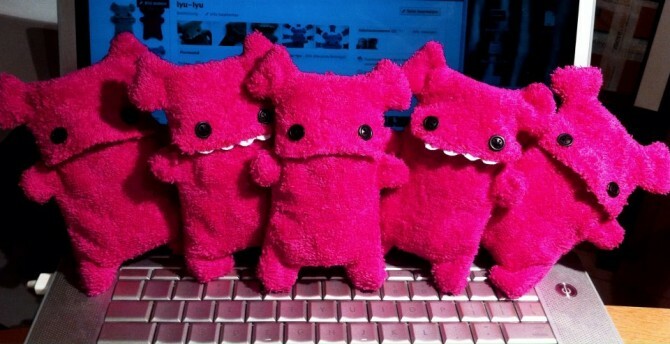 All Fellfische cellphone cases have been personally handcrafted by us and are made of fluffy terry cloth.